A view from the cycle path: Think your travel distances and times too great for the bike ? Dutch commutes are the longest in Europe. 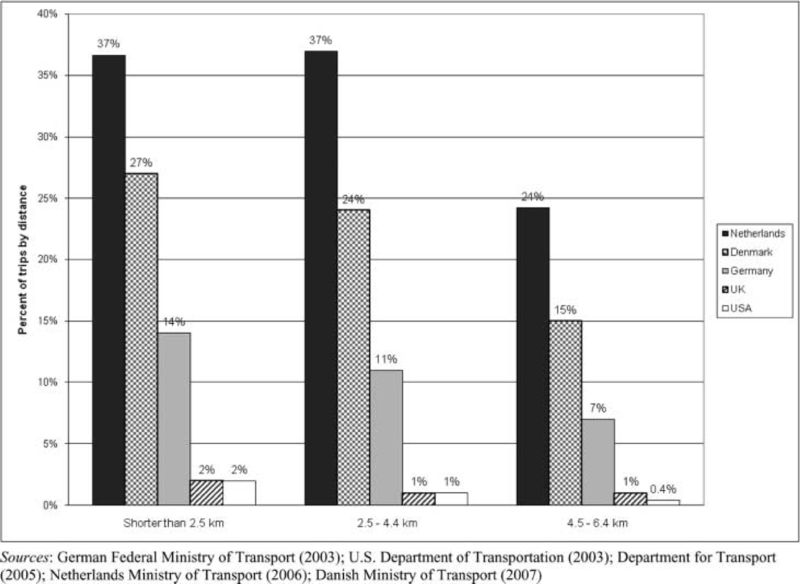 "Are your travel distances and times too great for the bike ?" Nah. I've been staying within 100 km of home lately, but if the trains around here were worth half a crap I'm sure I'd use them a lot more. 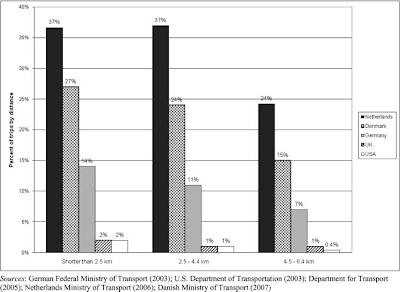 To think that the US was once a great rail and bike nation, perhaps rivaled only by England. Just a formal note: In a multicultural (multi-generation, multi-income status, etc.) Europe using the term "everyone" is not helpful. It is clear to me - via this blog - that almost everyone cycles occasionally and that the people-not-born-in-this-country* cycling rate is higher in the Netherlands than most everywhere but still, and in relation to this post, if distances people are willing to cycle are different based on place of birth it would be good to know about it. Of course it's okay if there is no research and statistics and only anecdotal information is available. 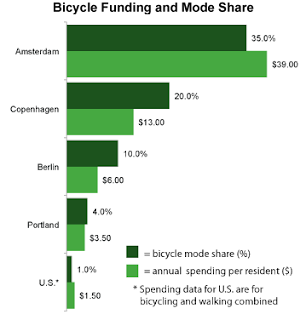 Countries other than the NL do (cycling) integration worse so it help to get the most accurate picture possible as way to learn about successful solutions. *As I understand it, the main two catergories for counting people in the NL are "born here" and "not born here", though some of the latter may become Dutch citizens. In Germany, by contrast, when someone becomes a citizen their origin does not disappear but may not be asked about -- it is good as a way to de-institutionalize racism BUT bad for integration. GIF: Indeed such things are incredibly complicated. I think the numbers you are looking for are here.